A motorcyclist can be severely injured in a crash. If another driver caused the crash, the rider might be entitled to significant compensation from the other driver. However, the rider must prove the other driver caused the crash to recover compensation for injuries and losses. 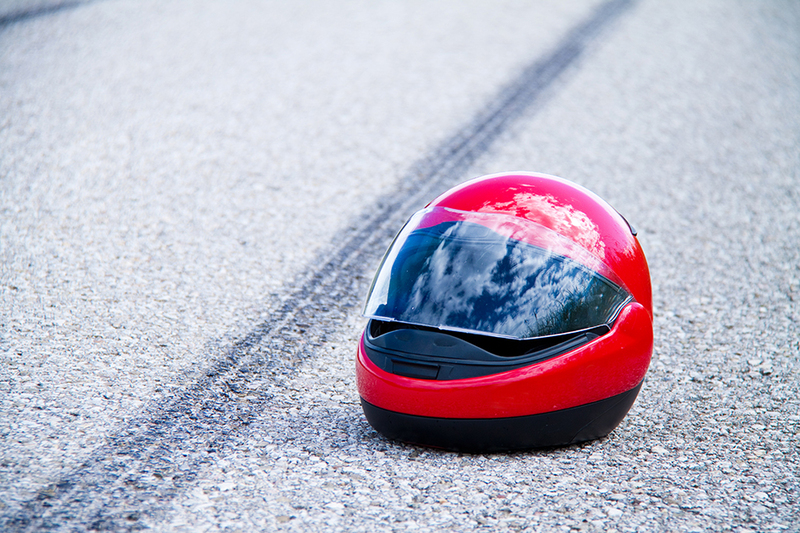 Unfortunately, proving fault in a motorcycle crash can be difficult. An insurance company attempting to avoid liability may try to blame the motorcyclist for the accident or claim the rider contributed to the cause of the crash. Because you deserve to be compensated fully for your injuries, we encourage you to contact the Maryland motorcycle accidents on our Pinder Plotkin legal team to discuss how we can help you build a case against the other driver. One of the pieces of evidence we gather at a motorcycle accident scene is skid marks. Skid marks indicate hard braking by the motorcyclist immediately before the impact. With a motorcycle, skid marks can indicate hard braking by the front tire, rear tire, or both tires. Skid marks can indicate that a rider tried to avoid the collision by forcefully applying the brakes. However, an insurance company may attempt to use the skid marks to argue that the rider was traveling at a high rate of speed, which may have contributed to the cause of the crash. Another argument that an insurance company may use to deny an accident claim is improper application of the brakes. The company may argue that the motorcyclist applied the brakes incorrectly, thereby locking the front wheel and causing the motorcycle to flip. A careful analysis of the skid marks is the only way to determine how the brakes were used and the speed of the motorcycle at the time of the crash. In these situations, our legal team often consults experts and accident reconstructionists to provide evidence and testimony that refute the insurance company’s allegations that the motorcyclist’s actions contributed to the cause of the crash. The process can be complex, but our legal team has experience handling these types of claims and understands what is required to fight unfair and untrue allegations by an insurance provider. Documenting an accident scene after a motorcycle crash is extremely important. You should not assume that a police officer or other investigator is going to sufficient document skid marks after a motorcycle crash. Therefore, you should always try to take photographs of the accident scene, if possible. You do not want to put yourself or others at risk or risk making your injuries more severe by moving around. However, if you can do so, take pictures of the entire accident scene, especially the location of the skid marks. Take pictures from several angles and different distances. Whenever possible, take pictures that include the location of the vehicles in relation to the skid marks. It is always better to have more pictures than you need than to take a few pictures that might not be sufficient to help prove your case. Why Should I Be Worried About Documenting the Accident Scene? In some cases, a motorcyclist may not believe he or she is seriously injured after a motorcycle crash. A rider may assume that if he or she can walk away from the crash that everything is okay. However, some injuries may not present symptoms for days or even weeks after an accident, especially head and brain injuries. A concussion or traumatic brain injury may have immediate symptoms, including loss of consciousness or severe pain. However, you may not notice subtle symptoms such as memory loss, problems with concentration, speech problems, sleep disturbances, and problems with balance for several weeks. Symptoms that were not severe may become more severe or persist for months. Only then it becomes clear that you suffered a serious injury because of the motorcycle crash. Unfortunately, by the time you realize you are injured, the skid mark evidence may be washed away. Therefore, it is always best to document skid marks and other evidence from a motorcycle accident scene whenever possible. You might need this evidence for a motorcycle accident claim in the future. Our Parkville motorcycle accident attorneys provide the legal advice and support you need as you fight for a fair settlement for your motorcycle accident claim. Call 410-661-9440 to discuss your case during a free consultation with a member of our Pinder Plotkin legal team.